Lockaway Storage is having an ugly sweater contest from now until December 12. Come on down to see if your sweater is ugly enough! Attention self storage residents! From now until December 12, all Lockaway Storage locations in Texas are participating in an ugly sweater contest for Christmas. Come down in your Christmas WORST, take a picture, and be entered to win! Both residents and the Lockaway Storage team are encouraged to wear their ugliest sweater the next time they stop by any location for a chance to win a special prize. Residents will be eligible to win a $50 rent credit toward their bill. 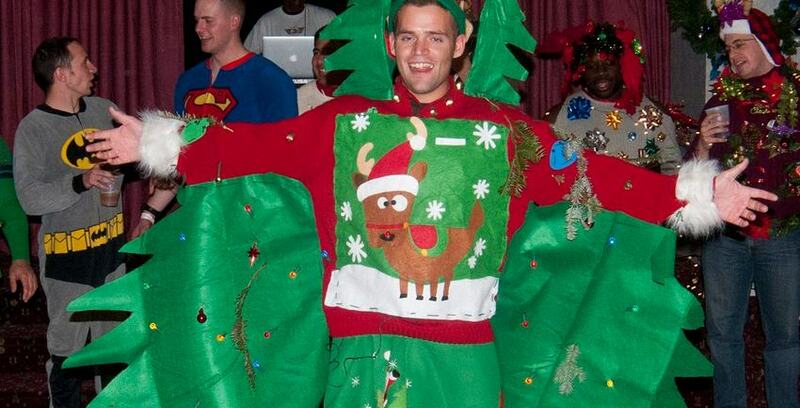 Who thought you could save money using an ugly sweater!? Not sure you can enter, because you don’t have a sweater that’s ugly enough? No problem! If you don’t have time to find a gem during a storage auction, ask friends and family! What used to be in vogue decades ago could be your ticket to self storage fame and local celebrity status. If the sweater is ugly enough, it could be legendary! Be sure to come on down to any Lockaway Storage location in your ugliest sweater between now and December 12, have some Christmas candy and coco, and see if your sweater truly is ugly enough to win a rent credit up to $50! Lockaway Storage team members will be eligible for separate prizes.